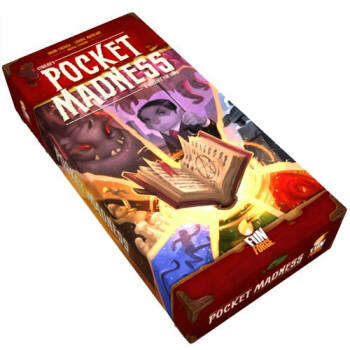 Pocket Madness is a fast-paced card game inspired by the writings of H.P. Lovecraft, known worldwide for his short story, "The Call of Cthulhu." In Pocket Madness, you will evoke the powers of the Ancient Ones to drive your fellow cultists mad while securing your path to victory! Pocket Madness is an easy to learn and fast to play game from Passport Game Studios and Funforge!